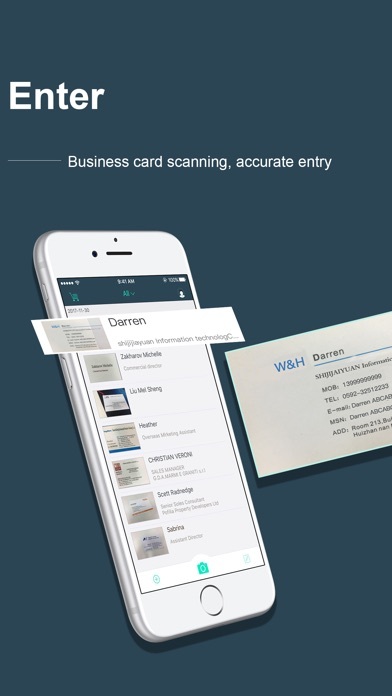 Developer: Xiamen Worldscan Information Technology Co., Ltd.
FoxCard reads and saves your business cards, remembering everyone you meet for business. It is the perfect fit for those who have lots of business cards. 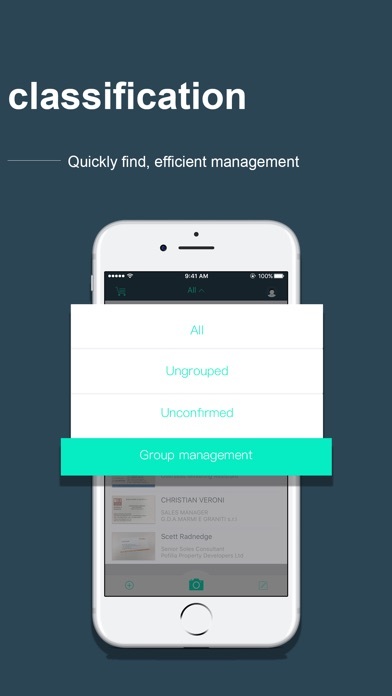 * Must-Have Apps for Salespeople – The Wall Street Journal * The best OCR scanner for business card - Wired * The business cards just jump into your phones. It’s that easy to use! 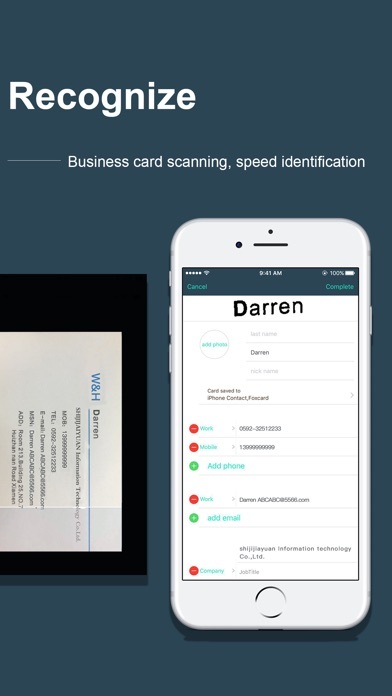 – CNC The best Business card scanning app,download over 100 million users. 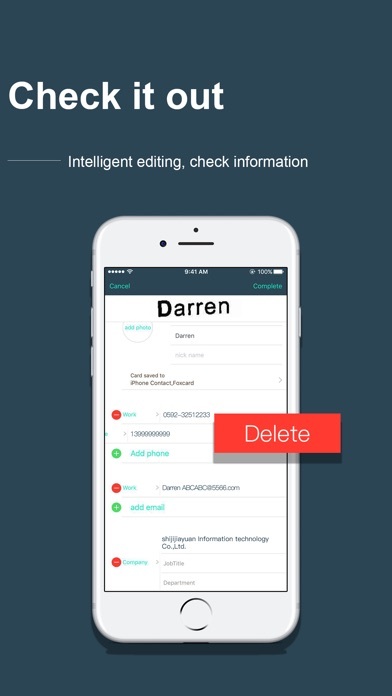 Besides, it has unique functions different from other software of the kind: Identify cards instantly and save them to contacts fast; Add photos, image-texts and remarks for cards; Totally local identification and no need for linked network; ensure absolute safety of data Recognize languages: English,Japanese,Simplified Chinesee,Traditional Chinese. [Our suggestions] For the best result, please ensure the photos The clearer, the better. (Please shoot in well-lit places and try not to shake in photo shooting) The bigger the photo is, the better (Please align the card to the reminder frame in photo shooting ) Place the photo above the cards and try to keep parallel direction Follow us on facebook: http://facebook.com/ifoxcard Follow us on twitter: http://twitter.com/ifoxcard 1) Remove all functional limitations. 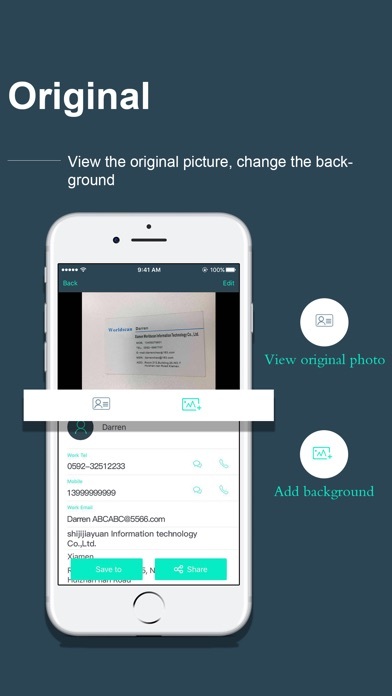 (2) The purchase of auto-renewable (3) Privacy in: http://worldscan.cn/privacy.html (4) temrn of use: http://worldscan.cn/ser_wecard.html - Monthly subscription for $1.99 - Yearly subscription for $19.99 - Payment will be charged to iTunes Account at confirmation of purchase - Subscription automatically renews unless auto-renew is turned off at least 24-hours before the end of the current period - Account will be charged for renewal within 24-hours prior to the end of the current period, and identify the cost of the renewal - Subscriptions may be managed by the user and auto-renewal may be turned off by going to the user's Account Settings after purchase - No cancellation of the current subscription is allowed during active subscription period - Any unused portion of a free trial period, if offered, will be forfeited when the user purchases a subscription to that publication. Will not transfer into iPad contacts as stated. I request a refund. More by Xiamen Worldscan Information Technology Co., Ltd.